- Closed dollar volume $1.82 Billion. While the Denver home market continues the seasonal slowdown with a focus on family and holidays, Buyers remain in the market, Sellers are motivated and looking forward, winter weather is on the way, homes for sale remain low, and lifestyle choices are the number one priority of home buyers. The Denver economy is continuing to move forward into 2018. 2017 is another record setting year and we will see changes in 2018. 2018 will be here in a few weeks and as a Seller, what can you expect? First of all, December is a good month for Buyers. With the number of active listings really low, Buyers will not see frenzied bidding wars. What this means to you as a Seller is that you will be given the opportunity to sell your home before year end; but possibly at a reduced price. Overall the Denver home market will continue to move forward; but at a slower pace than 2017. Buyer demand will continue to be strong. Price appreciation will not be as great as in 2017. New household formations will continue to increase and multi generations will look to buy. The proposed change in the tax reform may have an impact on home ownership even though Consumers will continue to focus on home ownership. Buyers today are savvier and more educated when it comes to home markets. Sellers need to know where they want to live. Inspection items are now impacting closings. Seller preparation includes a good pricing comparison analysis, instructions on staging, what are the top improvements, and a conversation on how the market functions. As such, the homeowner looking to sell a home needs a professional who is a local expert, is market knowledgeable, and can assist in the Professional plan to sell one’s home. Now is the time to reach out to a Professional. 2018 will be here in a few weeks and as a Buyer, what can you expect? During this offseason, it may be less expensive to buy a home. Sellers are serious to sell their home before year end. 2018 will bring increased home mortgage interest rates, continuous changes to the closing process, lower overall price appreciation, strong Buyer demand, and an increase in household formations. The current proposed change in the tax reform may have an impact on home ownership. Create your home buying plan and stick to it. 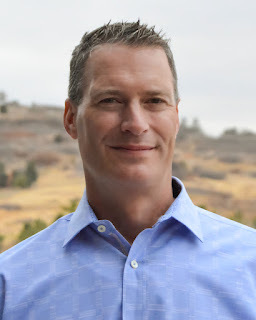 Michael Kozlowski #1 Individual RE/MAX Agent State of Colorado 2016! - Closed dollar volume of $1.942 Billion. October was a very interesting month in the Denver home market. 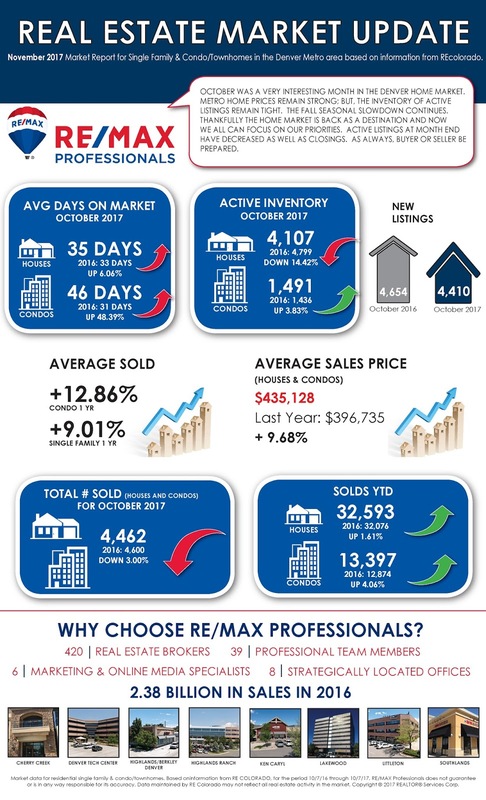 Metro home prices remained strong and the inventory of active listings remained tight, but the fall seasonal slowdown continued. The Denver home market is back as a destination, active listings at month end have decreased as well as closings. As always, Buyer or Seller be prepared. Sellers, Buyers today continue to be educated on the Denver home market. We are in a slower time of year as traditionally the 4th Quarter relates to less home closing transactions per month than in the previous months of the year. With fewer homes available for sale, Sellers need to know if they want to sell their home prior to year-end or wait until next year’s prime season. As a Seller, you need to be aware of: (1) inspection resolutions that are now taking more time to complete, (2) Buyers that are becoming more focused on smart homes, (3) renovated and energy efficient homes that are becoming a priority, and (4) healthy homes that are now a Buyer focus. Interest rate increases will impact the home market even though home price appreciation remains low. Seller preparation includes a good pricing comparison analysis, instructions on staging, what are the top improvements, and a conversation on how the market functions. As such, the homeowner looking to sell a home needs a professional who is a local expert, market knowledgeable, and can assist in the Professional plan to sell one’s home. Now is the time to reach out to a Professional. November is considered to be yet another great month for Buyers. This is because the prime home buying season has passed, the number of Buyers in the Denver home market will be fewer than the previous month, home prices are not increasing as fast as they have in previous months, and there are fewer homes available than in prior months. Be prepared to act quickly, create your home buying plan, and stick to it. Home pricing will remain constant with little or no price appreciation. Mortgage interest rates remain low; but, affordability cracks are emerging. Sellers are realizing the market is adjusting and as such, they need to determine if they are willing to sell by year end at a potential price decrease or sell next year in the prime season. Michael Kozlowski #1 Individual RE/MAX Agent in the State of Colorado 2016! - Closed dollar volume of $1.91 Billion. Fall is here and we are seeing an increasingly seasonal slowdown in the Denver Metro home market. Showings are slowing down, mortgage rates have risen, Sellers are reducing prices, Buyers are escalating demands during the inspection process, and many Buyers now want turn key properties so they can move in and live to their expectations. Overall, the home market is good year over year. As a Seller or Buyer, be prepared. 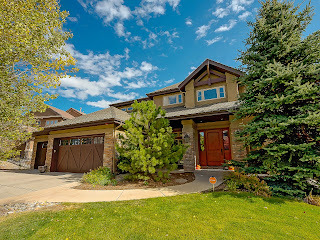 With an increased seasonal slowdown in the Denver home market, Sellers need to be aware what should be done so that Buyers will keep the Seller’s home within their desire to buy. Keep in mind that curb appeal entices the Buyers to see more and is known as the first impression. Next, remember to declutter and stage rooms for a purpose. Pay attention to details and light up the home by cleaning and adding LED lightbulbs. Always remember that as a Seller you need to leave a great lasting impression on all Buyers when they are shown your home. Buyer’s priority upgrades include: kitchen, bathroom, flooring, master suite, HVAC, closet renovation, and insulation. Seller preparation includes a good pricing comparison analysis, instructions on staging, what are the top improvements, and a conversation on how the market functions. As such, the homeowner looking to sell a home needs a professional, who is market knowledgeable, and can assist in the Professional plan to sell one’s home. Now is the time to reach out to a Professional more than ever in recent history. There is every indication that Buyers will see a different fall home market than in the prior years. What this means is that the Denver home market will continue to show seasonal signs of leveling off and Buyers will see a slowdown of activity. Be prepared to act quickly, create your home buying plan, and stick to it. Home pricing will remain constant with little price appreciation. Even though mortgage interest rates remain low today, there is every indication that mortgage interest rates will continue to increase in the near future. What this means is that with an increase, Buyers will be able to borrow less than currently. - Closed dollar volume $2.2 Billion. Summer nears the end. For the second consecutive month, the home market continues a slowdown and seasonal cooling. The home market continues to be a Seller’s market; but, Buyers are not as aggressive as they have been in the past. Low inventory of active listings continues to impact the home market. Price appreciation is also slowing down. New home builders continue changing their products. As always, be prepared. The Denver Seller’s market slowdown continues. 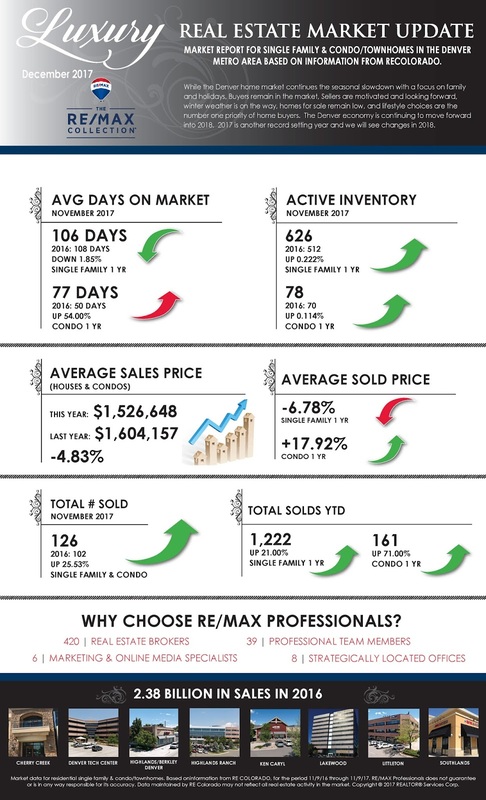 With sales slowing and the inventory of active listings reaching its seasonal peak, the Denver home market is cooling. 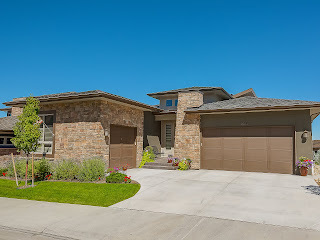 It is time as a Seller to focus on the following six (6) items to attract more Buyer’s: (1) enhancing the kitchen, (2) updating or refinishing flooring, (3) updating the bathrooms, (4) bringing in new cabinetry, (5) updating electrical wiring and wire for internet, and (6) adding lots of storage. Always remember that as a Seller you need to leave a great lasting impression on all Buyers when they are shown your home. Home builders continue changing their product line; so, this may be new competition. The Denver home market is seeing a decrease in showings, fewer multiple offers, and buyers who are cognizant of the market change. Yes, buyers want to own a home; but with more homes available on the market, they are looking at all active listings within their home choices. Seller preparation includes a good pricing comparison analysis, instructions on staging, what are the top improvements and a conversation on how the market functions. As such, the homeowner looking to sell a home needs a professional who is a local expert, is hyper local market knowledgeable, and can assist in the Professional plan to sell one’s home. Now is the time to reach out to a Professional. 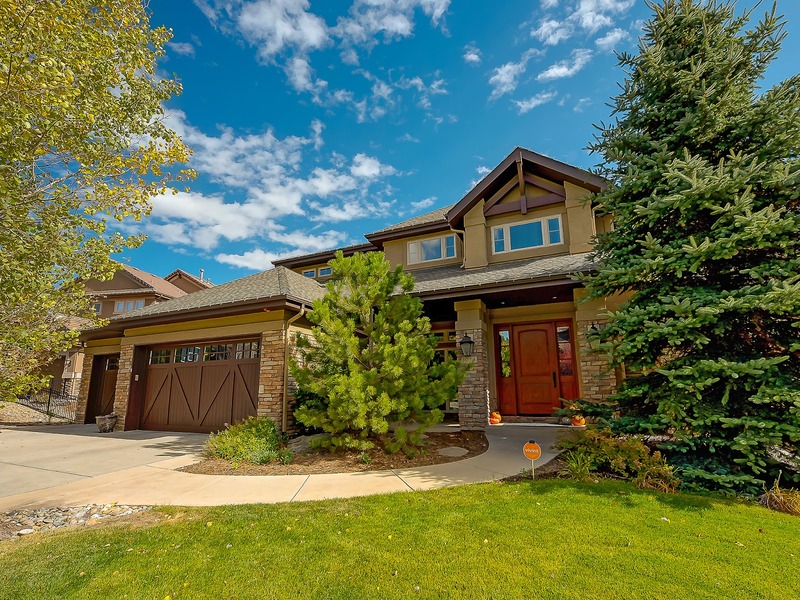 The Denver home market continued to show signs of leveling off and preparing for the upcoming fall season. We will see a slowdown of activity; but, overall the home market will continue to be the Buyer’s destination. Be prepared to act quickly, create your home buying plan, and stick to it. There are discussions going on regarding a “housing bubble”. In reality, this is only a discussion because this home market is seeing more incoming Buyers into the market and certain generational individuals becoming Buyers. Great Location! This Home will Sell Quickly! 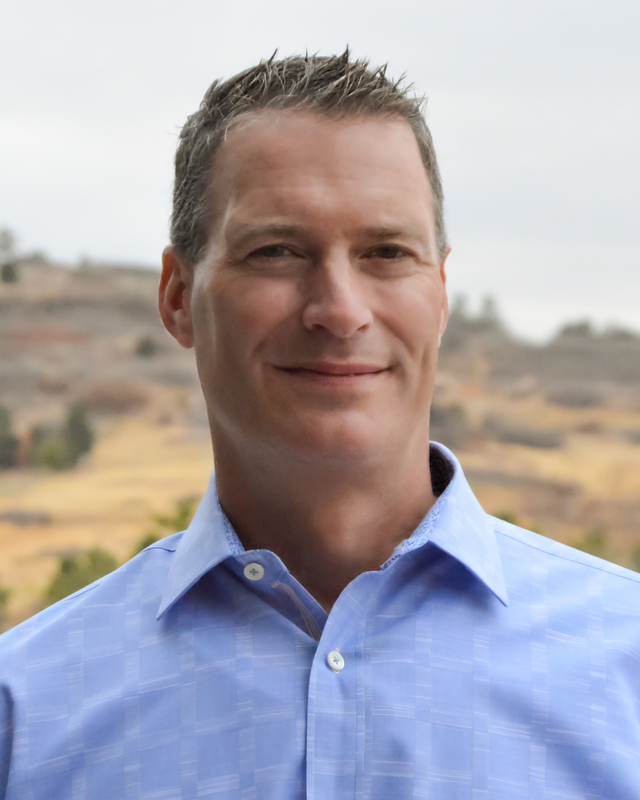 Michael Kozlowski #1 Ranked Individual RE/MAX Agent in the State of Colorado 2016! Check out our last 9 Homes that just Sold, All Above Asking Price! - Closed dollar volume $2.16 Billion. The July home market continues the slowdown from June. July is the month most popular for vacations and active listings stay on the market longer due to less focus on the home hunt and more focus on family time and school preparation. Multiple offers have slowed down and the July showings have also decreased. Mortgage interest rates continue to remain steady. New home builders continue changing their products. As always, be prepared. The Denver Seller’s market is showing a slowdown in July and Buyer’s were more focused on family activities and school preparation. With sales slowing and the inventory of active listings reaching its seasonal peak, the Denver home market is cooling. It is time as a Seller to focus on the following six (6) items: (1) staging the yard, (2) clean, clean, clean, (3) remodel or upgrade, (4) de-clutter your home, (5) use professional photographs and videos, and (6) price effectively. Always remember that as a Seller you need to leave a great lasting impression on all Buyers when they are shown your home. Home builders continue changing their product line; so, this may be new competition. Seller preparation includes a good pricing comparison analysis, a discussion on staging, what are the top improvements and a conversation on how the market functions. As such, the homeowner looking to sell a home needs a professional who is a local expert, knowledgeable, and can assist in the Professional plan to sell one’s home. Now is the time to reach out to a Professional. The Denver home market currently feels slightly more balanced in certain areas. July was a month that saw fewer Buyers in the market due to vacations and other family activities. In most cases school districts have now started the new season. Be prepared to act quickly, create your home buying plan, and stick to it. A review of recent articles and blogs indicate that the mortgage interest rates may not increase, so Buyers should still find out how much they can borrow with the current interest rates. Know what you want in a home, where you want to live, and what price range you can afford. Complete the pre-qualification process so you know the price range that you qualify for when you are purchasing a home. Be prepared, manage your expectations, and be open to looking at the entire Denver market. Reach out to a Professional today about your best options and opportunities to participate and succeed in the purchase of your “Dream” home. - Closed dollar volume of $2.46 Billion. Overall, June continues to be a record setting month, especially in the lower ranges. The Denver home market continues to be hot; but, now loosening up for Buyers as the rate of price growth is slowing and the number of homes available for sale are increasing. Mortgage interest rates continue to increase. Multiple offers, bidding wars, appraisal and inspection issues, and wire fraud continue to impact the home market. As always, be prepared. The Denver Seller’s market continues in the lower ranges and Buyer’s are remaining in the market. As a Seller, you should pretty much know what Buyers are looking for and know that you have to create a lasting impression as you are offering your home for sale. Are you aware that Buyers are now looking for “Smart Homes”? Smart homes are energy efficient and convenient. Smart homes now have new thermostats, lighting control, appliance automation, and security. Is your home a Smart Home? Are you aware that certain Buyers are now making offers on homes available for sale without even having a showing time set or actually seeing the home? Be aware that Smart Homes, Healthy Homes, and Life Style choices are a Buyer priority. Seller preparation includes a good pricing comparison analysis, instructions on staging, what are the top improvements, and a conversation on how the market functions. As such, the homeowner looking to sell a home needs a professional who is a local expert and can assist in the Professional plan to sell one’s home. Now is the time to reach out to a Professional. The Denver home market continues to be a Seller’s market especially in the lower price ranges even though the number of active listings increased in June. Buyer’s creativity remains with multiple offers, bidding opportunities, and price appreciation. Similar to the above comments, be prepared to act quickly. Create your home buying plan and stick to it. Metro Denver population is increasing. Metro Denver home Buyers now represent every age group. Buyers are looking for their American Home Dream. - Closed dollar volume $1.9 Billion. Spring is here, more new listings are coming on to the market, now is the prime home selling/buying season and the market is off and running. Mortgage interest rates had increased for a while but have come down recently. Buyer demand is huge and active listings are increasing; but, homes are selling relatively quickly if price right. Whether you a Seller or a Buyer, you need to be aware of the home market and all the creative activities that are now part of the home buying process, and be prepared. 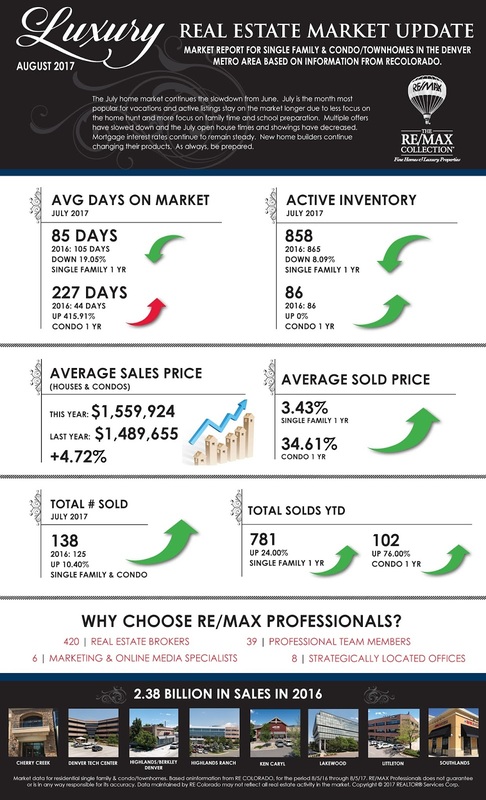 The Denver home market is a Seller’s market. As a Seller, you must know your home’s value and then have it listed at the right price. Also, it is to your advantage to list your home during the peak season, which is now. 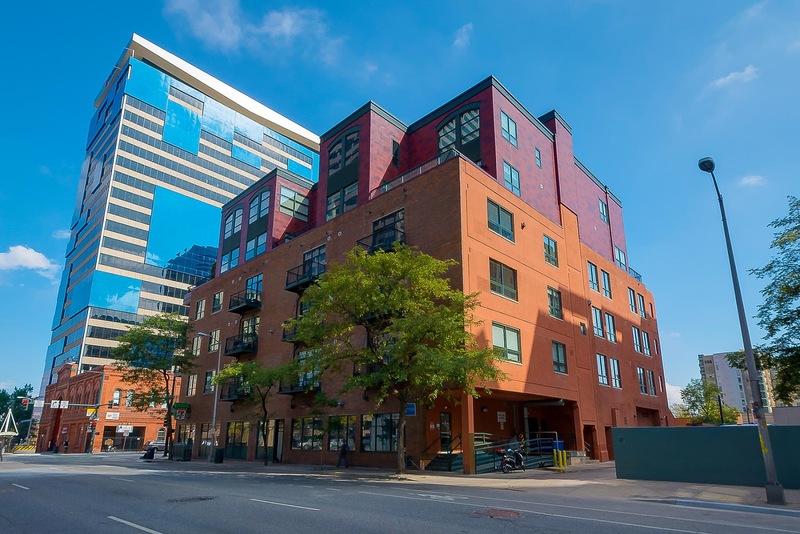 Last but not least, the Denver home market is now very creative. Be prepared for multiple offers, bidding opportunities, and requests for incentives. Do not scare Buyer’s away, take care of your home, your yard and make that good first and lasting impression. Looking for those good but yet inexpensive Spring home improvements that cost around $1,000 or less? Here are some suggestions: siding repair, painting the front door, staining your deck, cleaning the air ducts, and fertilizing your lawn. Seller preparation includes a good pricing comparison analysis, instructions on staging, and top improvements and a conversation on how the market functions. As such, the homeowner looking to sell a home needs a professional who is a local expert that can assist in the Professional plan to sell one’s home. Now is the time to reach out to a Professional. The prime home selling and home buying season is here and the Denver home market is a Seller’s market again this Spring. What does this mean to you as a Buyer? First, active listings of homes for sale coming onto the market are increasing; but, homes are going “under contract” quickly. As a Buyer, be prepared to move quickly to set up a showing and if the home is the home of your dreams, make an offer now. 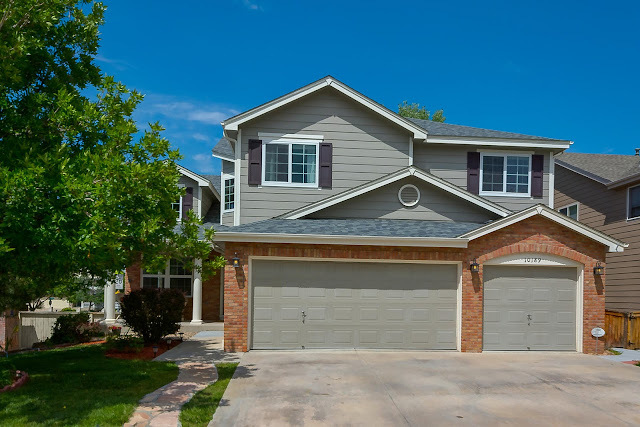 Second, the Denver home market is becoming very creative again with multiple offers, bidding opportunities, and price appreciation. Similar to the above comments, be prepared to act quickly. Be aware of moderate home price growth and potential increases in mortgage interest rates. Create your home buying plan and stick to it.